Must be something in the air. 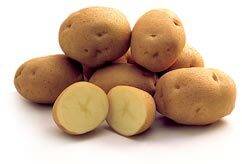 Prince Edward Island Potatoes are recognized all over the world for their unique taste and excellent quality. Generations of farmers have honed their skills producing potatoes for consumers around the world. The rich, red soil and clear air of Prince Edward Island - the perfect recipe for growing potatoes. 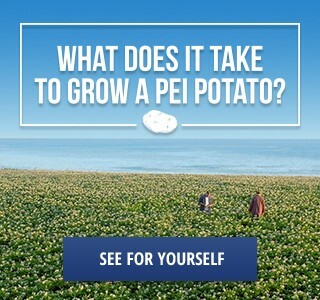 PEI Potatoes come in white, red, yellow, and blue? Which do you love? 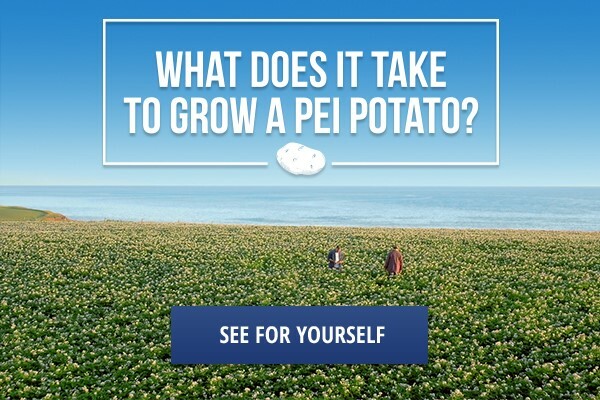 Growing potatoes isn't just a business on Prince Edward Island...it's in our nature! We have over two hundred years of experience growing high quality potatoes on an island that’s ideally suited to produce the best potatoes you've ever tasted. Award winning chowder at the 2014 PEI Shellfish Festival! A great way to enjoy PEI Potatoes from the BBQ! A simple party food that can be whipped up in no time at all! Makes a great side dish with fish! Easy to make, a great accompaniment to poultry or pork dishes! A cheesy, tasty side dish for an everyday meal or for entertaining guests! 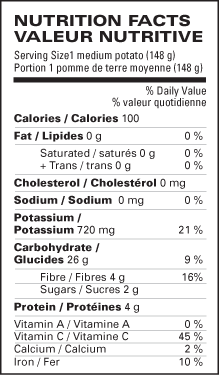 Easy intructions for flavourful New PEI Potatoes! Add colour to your potato salad with flavours from a different "island!" A flavourful and attractive way to pair PEI Potatoes with your steak or other grilled meat! A fine dining dish that makes a great side of any occasion! A fun party food base that you can top with whatever is in season! Jazz up your breakfast with this flavourful and creamy dish! @NutriAg_LB Wow! What a great throwback!